Now let me tell you something about Roald Dahl and Quentin Blake. They are marvelous. Dahl's lucidity in words is made even stronger by Blake's morbidity in pictures. Forces joined, the story equally suits a 10-year-old kid as a 24. Every Dahl's adventure is a wonderful journey far back, on and sideways. 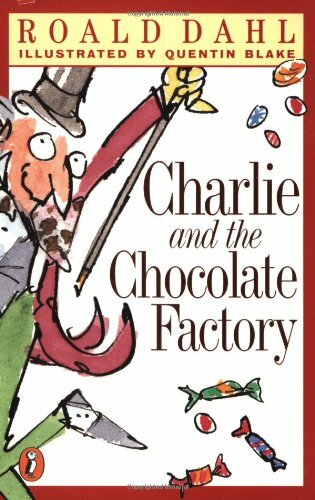 If you usually become a little peckish whilst reading a book, like myself, your hunger will be thrice satisfied with the Charlie and the Chocolate Factory. Oh, and the songs, those songs, so good! The songs, those songs, so good! Release planned for Monday, October 13, 2003 at Post Office, Trzaska Street in Ljubljana, Ljubljana Slovenia. Slice It If You Can contest's smartie winner is pikapolonica. Check http://www.bookcrossing.com/forum/10/188777 . That is why this sweet choco book is on its way to her. 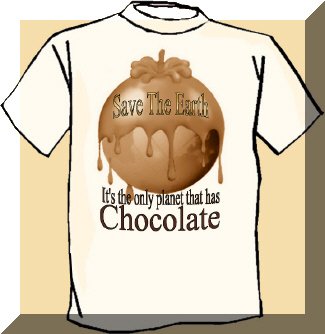 BTW, did you know that an average American eats 4.5 kg of chocolate every year? Yes, that's how here says. May it be that, since the mentioned reference is primary concerened with cacao, the data of 4.5 kg implies such an amount of raw cacao? If so, it would mean that an average American eats a 100g Milka chocolate with 25% cacao solids per two days. Nåja, this also doesn't sound that much, does it? However, when such an intake becomes regular like brushing your teeth, it surely has to have an effect. Because I know of another statistic, which says that an average American gains a kilogram a year. This is exactly the kind of chocolatey book that can brighten up rainy autumn days. Very appropriate for this time of year. I read the book, but what can I say, it was a bit disappointing. The point of the tale seems to be that you will fare best in life if you are good, quiet, not envious, incospicious and unnoticeable. Hm? Is that really so? This book is to be turned into a chocolate bookring in Europe. The usual bookring rules apply, except that there is an extra condition that you send one chocolate to the person after you together with the book. And of course you will get the chocolate from the person before you. :) It should be any kind of chocolate, but preferably from your country and not more than 100g (so it doesn't add that much to the weight of the book). 1. Make the journal entry telling the other participants that the book is with you. 2. PM the person after you to get his/hers address. To keep the ring moving: if there's no reply after 2 weeks and 2 PMs, then PM the next person on the list for the address. 4. Read the book and make another journal entry when you are finished. 5. Send the book and the new chocolate to the next person, preferably within 2-3 weeks after receiving it. 26. Back to me in Sweden. 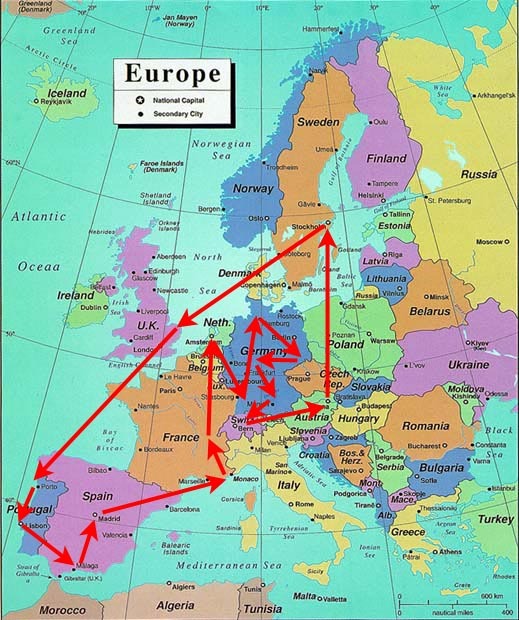 The ring has started, here is a map of its travels. [3rd May] Of course the chocolate didn't last that long... although the book is very nice and short to read, with Quentin Blake's famous illustrations in there too. It helped me to while away a rainy afternoon, suffering a nasty cold, but sad to say it wasn't quite as fantastic as I remembered from childhood. I thought more had been made of the "sticky ends" suffered by the four other children, but then again maybe that would make the story too long and the moral message too heavy (compared to the idea that everything will be OK if only you can win a competition... hmm, not sure about that one either ;) Still, Mr Wonka's character is sharp and witty, and the book did cheer me up which is what I needed. Off to Portugal very soon, the only problem is which chocolate to choose to send with it! This book is amazing!I love to read them.It tels us the story of a young boy that live in miserable conditions whit is four grandmothers, grandfathers and is parents. But one day he have a surprise.He found some money in the street and decide to try is luck whit some bars of chocolat to win a gold ticket ,to visit a famous chocolate factory of mr.wonka. 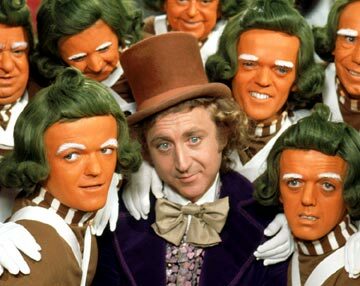 He win the last golden ticket and go to this famous factory. The four boys and girls that win the golden ticket are rich. Somethings stanges hapened whit the others kid because they are ambicious.Charlie continuos the visit.He win. I think this book gave to us some life lesson because he show to us that sometimes the ambition, and have lots of money don´t gave to us hapiness and good results.Sometimes he have to be more kindness and humilty. Charlie have the same caracter at to the end and he win.Mr.Wonka gave to him the factory. 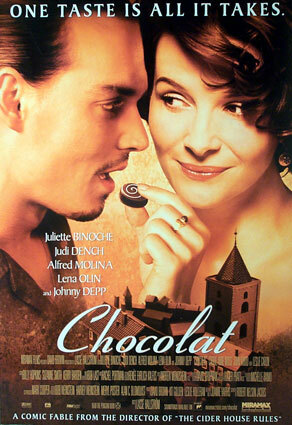 Its amazing how the world of the chocolat is so vaste and so big. I love to read this book and eat the chocolats that came whit them. Released on Saturday, May 15, 2004 at entregue em mão in Porto, Porto Portugal. Released to Ravediver.I hope that you enjoy the book.Its very beautiful. A great book that should be read by grown-ups too! Arrived today by hand with a wonderfull chocolate that soon I will taste... Thanks RaveDiver. I'll try the next in the list. Arrived in Madrid. Thank you Di78 for sending it and for the chocolate, and, of course, to pikapolonica for the idea. Delightful book! I had read it ages ago, and then again when my kids were the age to read (or at least of being read to). And now I did it again, to discover that I have to correct BoLe: the book is still worth reading after 24! 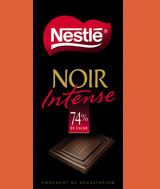 Now, off to France together with some spanish chocolate. I hope you like it black, Kanapoutz. It is my favourite, and it has less cholesterol! Thanks also for your message, I'm glad you're interested in Kanapoutzs ;-); see you on the French forum! More about the book later! Thank a lot Pikapolonica for this bookring! And WAM for the chocolate, which was wonderful (and did not last very long!). I really enjoyed the story, especially the descriptions of the chocolate factory, with lots of crazy great ideas! Don't wanna talk about my mouth watering ! Don't wanna talk about my giggling throughout the reading ! Don't wanna talk about my chocolate addiction ! The smell of chocolate around the factory reminds me of the coffee factory not far from where I live and on certain days, the smell is really really strong and so exquisite. The squirrels remind me of a commercial in which a guy is back from Switzerland and tells his friends that "marmottes" (just check what this animal is) are making chocolate in a factory. Got it yesterday, thanks pikapolonica, bilbi & EmilieJolie ! Thanx pikapolonica and jaed ! Please anyone who has enjoyed this book, go and see the Tim Burton's movie! That's if you like his movies, because it's kind of weird, as usual! But I think the movie translates very well the book, even though I am not sure I would want kids to see it, as it is sort of scary! The chocolate factory is unbelievable, the characters are crazy, the oompa-loompas, well, what can I say, and Johnny Depp is fantastic as Willy Wonka! The book is now on its way to the Netherlands. Got the book two weeks ago already, but with the holiday I didn't come round to make a journal entry. It will be great to read the book, especialy with the new Tim Burton movie in the cinema (which I want to see one of these days). Thanks for sending the book and the wonderful extra-dark chocolade, Lil-Rhinehart!! I absolutely adored the book!! It was very difficult to read it without some chocolate in my hands; the description of all the chocolate made that I HAD to have some chocolate myself, so the chocolate Lil-Rhinehart has send me with the book; has been eaten while reading the book. Now next week I want to go and see the (new) movie to round it all up! Thanks for making a ring of it, BoLe! And Lil-Rhinehart: thanks for the chocolate. the book and chocolate arrived yesterday. sorry, not the right time for me to read in english. so the books going to travel - not the others waiting for me!!! Thanks for the book and the chocolate, I began to read right away! The choc has to wait until we go together inside the Willy Wonka Chocolate fabric! I loved the book! Now I want to see the film, but is it in the cinemas now??? Have to look for. Unfortunately Dorle didn't respond me, so I asked muffin77 for her adress as next reader. Just arrived here on my desk. Since I have a terrible flu with a bronchitis I will go home now and probably even start reading this book. Thanks also a lot for the chocolate (Milka - hmmmmmmm) - I will wait a bit before eating it. Don't want to share it with the stupid virus!!! PMing next BCer in line - the chocolate to send along is already waiting at home to be eaten by someone (and I will give anything that this someone is NOT me!!). Sent on last Saturday to the next reader (and eater :) ) - enjoy! Mmmmhhhmmmm! Chocolate and a book! Bliss!! This is a lovely book, I really enjoyed reading it! I guess I'll have to see the movie now, too. Is it as wonderful as the book? We'll see. The combination of this book and a bar of chocolate was fantastic, it absolutely enhanced the pleasure of reading about chocolate and chocolate smells etc. Thank you very much for this great bookring, pikapolonica! And thank you for the lovely chocolate, Muffin77! It's all gone now, so I better send this bookring on as soon as I get the address of the next reader. The book and the chocolate are on their way to the next reader! Got it yesterday. Thanks for the book an for the chocolate. I´ll do my very best to read ii quickly! It´s a very nice childrens-book. Soon it will be send to Suzanne4Books. The book arrived here today! In Hamburg I'll have no problems finding some fine chocolates to fill up the supplies for the next station. But first there's the time to read and to enjoy. It was a pleasure to read, but a little bit too obvious in its purpose. Even as a child I had some problems with a message written so clear you bump into it every other minute while reading. But nevertheless I enjoyed the journey through the chocolate factory immensely and I loved Mr. Willy Wonka and Grandpa Joe best. Thank you for this bookring! Will start reading it soon. Can I just say that I was, for a split second, shocked when I opened the chocolate? :-D Baaahhh! I thought it was fish! :-D And to tell you the truth, I can't stand fish as long as it doesn't look like fish sticks and I absolutely hate to look at dead fish with their heads and big eyes. Eeeergh! I hope the chocolate doesn't taste like fish! I absolutely adored this story! Marvellous! Wondeful! Very glad to have read it finally. Will send it out to the next participant as soon as I have the address. Thanks for letting me read this! The book and the chocolate arrived today. Thank you. This is a book I will read at the streetcar on the way to the office.